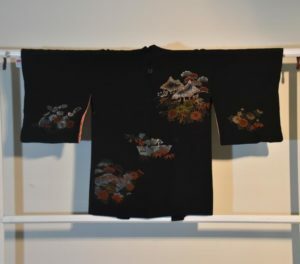 Japanese Silk Haori Circa 1960-80’s in Great condition. SKU: 12573. Categories: Haori, New Arrivals, Textiles. Tags: haori, japanese haori.